One day you’re just living your life and the next you’re writing a book and designing a cover – what?! Time is flying by and I’m trying to hang on to the memories of every part of this process, I know one day I’ll look back and it’ll just feel like a dream – it already does a bit! I finished writing my book towards the end of last year and I’m not gonna lie, it was a huge sense of relief. It felt like I had just run a marathon (Rich would laugh at that metaphor because seriously I have no idea what that feels like) but before I knew it, it was time to think about the cover. We didn’t have long so luckily I had a vague idea of what I wanted, or what I would be attracted to if I were to walk into a bookstore. I’ve always made videos that I’d want to watch or written blog posts that I would want to read so it made sense to act the same with my book cover. But there were also lots of other factors to take into account, it needs to appeal to the right audience but it also needs to be a true reflection of what’s inside the book. I wanted something pretty, something ‘Instagrammable’ (duh!) 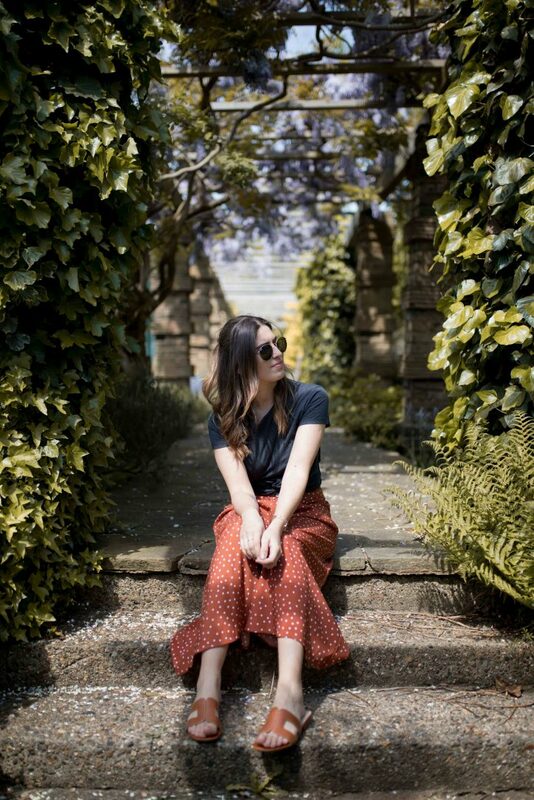 but I also wanted it to really signify modern female friendship as that is what the book is all about – it’s not a fashion, beauty or lifestyle book. To me, since day one of discussing this cover I have had the image of hands, a mug of some kind… a cup of tea! It kept coming up, not matter what avenue we went down it always came back to tea. We explored the different items or gestures that make you think of friendship; linked fingers, holding hands, a glass of wine, friendships bracelets… I feel like we tried it all. One day I got my mum and sisters to come over and I took loads of practice shots to see what we liked and didn’t like. It was all about this central image, this photo which I knew I wanted. We could have just had text but to me a photo is so engaging, I love having something visual to think about when reading a book. So we had a shoot day at my house, the lovely Sophia came over with her team and my manager Millie and fellow blogging pal Kristabelle were there to literally lend a hand. We tried out lots of different angles, mugs, jumper sleeves but in the end we created a shot that was perfect! As for the rest of the cover, well I knew I wanted some kind of border. I collated all the book covers that appealed to me the most and something a lot of them had in common was this block colour border. We tried having a print around the edge, with a solid colour in the middle but then the lovely Will at Hodder came up with this wrap around idea and I just love it! The print ended up being too much so we instead went for a classic marble which really compliments the other elements and let’s the photo stand out. I chose navy, marble and pink, not because they’re blogger cliché colours (although I know they are) but because I friggin’ love them. They make me so happy, they remind me of the colours I have in my home and they remind me of this current moment in time, which I think will be really nice to look back on. Lol, do you remember when we all loved navy and marble, that was so 2018. So there you have it. My book cover. I’m so happy with it and I can’t wait for you all to receive the final thing to see it up close and hold it in your hands. I’d love to hear what you think of it! 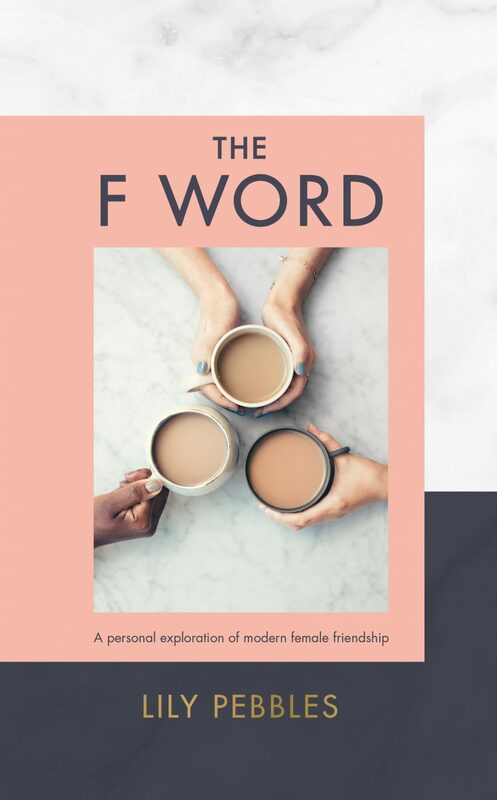 If you’d like to pre-order The F Word, you can order a UK signed copy here, or for everyone else it’s on Amazon here.